Energy giant E.ON has confirmed its five–year single-supplier mandate with Pinsent Masons will run its full course, with the energy supplier electing not to exercise a three-year break clause after appointing the firm as sole legal adviser for general matters in October 2013. Norton Rose Fulbright and Allen & Overy (A&O) have advised as Horizon Nuclear Power has announced its joint venture for a £10bn nuclear power plant in Wales. Linklaters has advised on the development and financing of the first two UK offshore wind projects to obtain financing under the government’s new ‘Contract for Difference’ (CFD) regime, worth £2.6bn and £1.3bn respectively. The Magic Circle firm advised on the construction and financing of the offshore windfarm Beatrice located in the Outer Moray Firth, worth £2.6bn, and advised the developers on the £1.3bn long-term financing for the development of one of the world’s largest offshore windfarms, the Dudgeon windfarm off the east coast of England. Echoing its trademarked ‘virtuous triangle’ strategy of the past, Fieldfisher has picked three sectors to ‘turbocharge’ as it rolls out its latest three-year business plan, dubbed ‘Our Future Refocused’. The Crown Estate is to launch a review of its external legal adviser panel following the departure of general counsel (GC) Vivienne King who has been replaced by former deputy Rob Booth (pictured). In the second renewables project Linklaters has finalised this month, the Magic Circle firm has advised on the construction and financing of the offshore windfarm Beatrice located in the Outer Mary Firth, worth £2.6bn. When high-profile litigator Peter Rees QC stepped down from the top legal job at Royal Dutch Shell in 2014, Australian Donny Ching was appointed as his successor. Managing a near 1,000-strong team split over 45 countries, including 700 legal professionals, Ching’s priority is to align the team as closely as possible with the business, a move that helps manage spend on external advisers. In 2014 the team handled around $5.5bn of divestments in the US, in the course of which it spent less than $100,000 on external law firms. Costs aside, Ching says that retaining so much work in-house presents a ‘compelling employee value proposition’, while also retaining knowledge within Shell. Ching has a long history at Shell, having served in multiple managerial roles. A qualified barrister, he joined Shell in Australia in 1988 and requalified as a lawyer in Victoria, Australia in 1989. 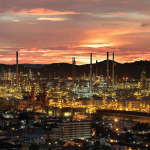 He worked initially in its resources business before progressing to downstream and corporate work for Shell Australia. He moved to Shell Hong Kong in 1992 to work on the Nanhai Petrochemical Complex Project in China. In 2004, Ching relocated to Singapore as associate GC for the gas and power business in Asia-Pacific, where he supported the growing LNG trading business through projects such as Sakhalin and Gorgon. He became Singapore head of legal in 2008 with responsibility for legal support to the downstream business in South-East Asia, going on to become GC of projects and technology, based in the Netherlands, in June 2011. Two years into the group GC role and following Shell’s landmark £47bn takeover of BG Group, 2016 will see Ching take stock of the business’s legal panel, which comprises over 100 firms that typically receive instructions for specialist advice or where the in-house team doesn’t have the physical capacity to do a large transaction. Last year it was Slaughter and May that worked alongside a large proportion of Ching’s team, including company secretary Michiel Brandjes, on the acquisition of BG. One of the most prominent names in the in-house community, Centrica’s long-serving general counsel (GC) Grant Dawson is oft-cited for his work transforming the company’s position as a UK gas supplier to an international energy player. Appointed GC and company secretary following the demerger from British Gas in February 1997, Bar-qualified Dawson has spent most of his career in the energy industry, joining the legal department of Racal Electronics in 1984 and STC as legal adviser in 1986. A five-year stint until 1996 saw Dawson serve as associate GC for Nortel in Europe, Africa and the Middle East. Under his leadership at London-listed Centrica, the largest supplier of gas to domestic customers in the UK, the 200-strong legal team last year aligned to the business’ governance, compliance and reporting processes across its devolved businesses: British Gas, Centrica Energy and its North American business, Direct Energy (DE). Dawson is regarded as a full member of the Centrica C-suite, with the legal, regulatory, compliance and company secretarial function all falling under his remit. His biggest regulatory hurdle of late has been the ongoing Competition and Markets Authority (CMA) inquiry into the energy industry, where he has been tasked with handling Centrica’s submissions to the CMA and preparation for formal hearings. Dawson is also an advocate for regular housekeeping on legal spend for the business and conducts an annual review of external law firms. Those appointed are expected to use a defined menu of fee arrangements. Having been involved in Centrica’s entry into a new jurisdiction via its £920m acquisition of Ireland’s state-owned Bord Gáis Energy in 2014, this year Dawson will tackle legal issues surrounding the company’s €1bn bid for Viridian, Northern Ireland’s biggest power company. If successful, the deal will help the company refocus its efforts on selling energy to customers rather than producing fuel for the market, as low oil prices continue to have a knock-on effect on Centrica’s upstream business, which mainly produces gas. As you would expect, Dawson gets strong notices from City partners. He is also active in the wider community as current vice-chair of the GC 100. One of the most high-profile general counsel (GC) retirements last year was that of longstanding BG Group legal chief and ‘brilliant legal mind’ Graham Vinter, who departed the role after nearly a decade, making way for his successor Tom Melbye Eide in September 2015. Norwegian Eide joined the FTSE 100 oil and gas company from Oslo-headquartered Sapa, a leading manufacturer of aluminium solutions, where he served as executive vice president and general legal counsel. He moved there from Statoil, where he first held the position of GC for StatoilHydro, before becoming head of legal for global strategy and business development across the entire company. During his time at Statoil, he sat on the board of directors from 2011 – which included BG’s current chief executive Helge Lund, who was acting as Statoil’s chief executive at the time – and helped to develop a legal mergers and acquisitions unit for the company. Less than a year into the role, the Herbert Smith-trained Eide and his 85-strong legal team were tasked with competition and regulatory approval issues surrounding BG’s £47bn takeover by Shell, which completed in early 2016, despite doubts expressed by shareholders about the deal’s viability given falling oil prices. Eide will review BG’s external legal roster with the expectation that Shell’s panel will prevail post-acquisition. Eide has also joined a heavyweight bench of in-house names at BG Group, which featured in the GC Powerlist 2015: The Team Elite, including Daniel Silver, the company’s head of ethical conduct and compliance, and corporate chief counsel Howard Landes, who was shortlisted for our Rising Star award 2015. Nicholas Ansbro started his career as a thrusting corporate lawyer at Clifford Chance (CC) in the late ‘80s, working alongside then rising stars Matthew Layton, Jeremy Connick and Andrew Grenville. His first move in-house was in 1994 to Reuters, following a secondment from CC. He then moved into the energy sector in 2003, joining Corona Energy as head of legal. He joined Gazprom Marketing & Trading (GMT), a subsidiary of Russian gas giant Gazprom, as assistant GC in 2008 before succeeding its legal chief Jacqueline Hill in 2014, after she departed to Harkand. Headquartered in London, GMT employs over 900 people and has a global presence with subsidiaries in Houston, Singapore, Paris, Berlin, Zug and Manchester. The team develops and implements Gazprom’s global liquefied natural gas (LNG) business strategy and vision by bringing to market Russian reserves through developing LNG liquefaction projects. Under Ansbro’s leadership, the GMT legal team is tasked with ensuring that the company is properly supported in developing strong relationships with its Russian parent. On the GMT side, Ansbro’s 24-strong team has handled major transactional work in recent years restructuring its trading capabilities, including a major six-year gas supply deal to Centrica in 2015, as well as an agreement to acquire 1.2 million tonnes of LNG annually from the Perenco project in Cameroon, which is being developed by Norwegian shipping company Golar LNG. Ansbro and his team have further built a successful compliance function under the GMT arm to address new regulations on commodity derivatives affecting energy trading firms within the EU. London-based Hillary Berger has enjoyed an expansive career in the power sector, starting in the US before moving to London in 1998. She now heads the Africa legal function for Engie, formerly GDF Suez. With UK revenues of £3.7bn and around 20,000 employees, the company is active in 70 countries around the world and across every energy source. Berger’s legal department is responsible for advising on matters relating to European power generation in those regions, trading activities and retail business. This includes monitoring compliance with applicable legislation, review and negotiation of key contracts, and oversight of the region’s various legal entities. Berger originally joined International Power in 2006 as legal counsel, following which she went on secondment both with corporate communications and the International Power/GDF Suez integration team. Having made an estimated €27bn worth of investments since 2014, the company is currently executing an ambitious three-year strategy to become a leading player in world energy transition, which within Europe is taking the form of a sustainable and decentralised energy mix through the use of renewable technologies. Part of Engie’s strategy is a reorganisation of UK businesses to integrate energy and services capabilities, investment in infrastructure and new technology. However, part of the restructuring will see Engie shut down Rugeley power station this summer, one of the country’s biggest coal power stations, in a move linked to increased carbon costs as the UK shifts to greener energy. Cited as a key figure in the legal industry by peers such as BAE Systems general counsel (GC) Philip Bramwell, few can dispute the breadth of experience and weighty responsibilities of in-house veteran Rupert Bondy, who leads legal and compliance operations within BP. 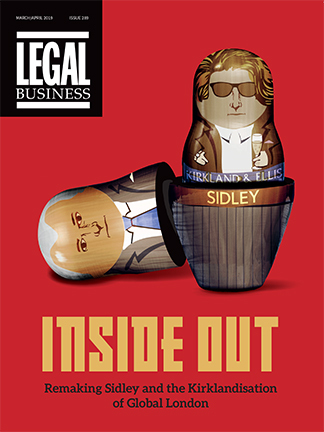 For many, Bondy is one of the few figures to have truly transcended the legal role to establish himself in a broader context. He began his career in 1989 at Morrison & Foerster, working in San Francisco and London, and from 1994 spent a year at Lovells in London. He ventured in-house in 1995 to SmithKline Beecham as senior counsel, dealing mainly with corporate matters. He subsequently held positions of increasing responsibility and, following the merger of SmithKline Beecham and Glaxo Wellcome, was appointed senior vice president and GC of GlaxoSmithKline in 2001. In April 2008 he joined BP as group GC, ahead of a turbulent period for the oil major. Bondy not only faces addressing the headache of compliance and regulatory challenges levied at oil giants, but has been involved in the long-running litigation surrounding the Deepwater Horizon oil disaster off the Gulf of Mexico, one which cost the company $18.7bn to settle and constituted the largest environmental fine in US history. In 2015, the company announced costs associated with the disaster amounted to $55bn. In February this year BP faced another battle and instructed Herbert Smith Freehills to defend it against claims its security precautions at an Algerian gas plant were flawed at the time of a terrorist attack in 2013 that killed 40 people. Filed at the English High Court, the claims stem from an attack by al-Qaeda-linked militants against the In Amenas gas plant in Algeria operated by BP as part of a joint venture with Norway’s Statoil and Algeria’s Sonatrach. Major transactions recently saw BP and Oman Oil sign a heads of agreement with the government of Oman in February, committing to amend the Oman Block 61 exploration and production-sharing agreement, enabling further development of the Khazzan tight gas field. Bondy is one of the few top-level GCs that openly uses alternative methods to select his external advisers and in 2014 held a reverse or Dutch auction, in which all firms on the present panel were asked to participate. Debra Valentine was appointed group executive for legal, external and regulatory affairs at Rio Tinto, the world’s second-largest iron ore miner, in 2009. A member of Rio Tinto’s executive committee, her remit covers its legal, external affairs, security, risk, company secretarial and compliance functions. She previously worked at United Technologies Corporation in the US where she was vice president, deputy general counsel and corporate secretary, after first gaining experience in private practice at O’Melveny & Myers in Washington DC, and previously served as legal chief at the US Federal Trade Commission from 1997 until 2001. The company has faced challenging market conditions, which saw the mining giant’s 2015 revenue fall amid a global commodities slump, forcing cuts to staff and capital expenditure and operating costs. With the world’s biggest mining companies under significant pressure from slowing growth in demand from China, major priorities for Valentine this year include the potential sale of $5.7bn of assets to help buy business from distressed industry rivals as stock slumps. Rio Tinto also announced in 2015 the departure of energy chief Harry Kenyon-Slaney as part of its restructuring, as well as the rollout of its coal and uranium businesses into two other units to drive cost efficiencies. Valentine’s priorities include supporting the business with commercially sound advice in delivering on the group’s performance objectives, whether divestments and closure on non-core assets; value-based progress on new projects; strategic development of existing operations; or business transformation activities to reduce capital spend and increase cash flow. Since SSE’s appointment of Liz Tanner as director of legal services in 2013, the in-house function has undergone major structural change, splitting into different capabilities to align legal operations to the business. These include infrastructure and real estate capability, data protection, commercial and litigation. A non-executive director, Tanner is responsible for providing a wide remit of legal advice across the SSE group, including energy infrastructure projects, general commercial, M&A, construction, property and litigation matters, as well as governance and regulatory compliance work. Significant activity includes undertaking a major asset disposal programme with an estimated value of around £1bn and the £1.2bn Caithness-Moray subsea transmission link to provide increased network capacity for electricity generation from renewable sources, in line with legally-binding international targets. 2015 was particularly challenging, with SSE announcing in February the closure of three out of four units at its Fiddler’s Ferry coal-fired power plant as renewable energy and cheap gas prices have made such plants increasingly expensive to run, a move that SSE said would incur a penalty charge of around £33m for breach of contract. The company was also unsuccessful in January 2015 in gaining a capacity contract for the power plant for the year 2019/20. Tanner also oversaw the setting up of an inaugural law firm panel at SSE, following an extensive selection process in 2014. Seven firms were appointed to advise across various legal disciplines, including construction, property, finance, litigation and corporate. Kennedys, for example, covers the sub-division of personal injury litigation and Gillespie Macandrew and Thorntons focus exclusively on Scottish property work. Tanner’s aim was to refresh the company’s approach to external legal services and drive more efficient delivery across SSE. Tanner is both personally cited by City lawyers and noted for having built an effective team. Sellafield’s longstanding head of legal services Andrew Carr is cited as one of the UK’s foremost nuclear specialists as well as an established name within the in-house legal community. He manages a 14-strong division at the nuclear giant’s UK headquarters in Cumbria. Home to Calder Hall among other legacy plants, it serves as a major centre for decommissioning. At Sellafield, operational plants are forecast to generate approximately £10bn of income between 2015 and 2027. Having trained in civil and criminal litigation at SNR Denton, Carr’s career in-house began as a senior solicitor at British Nuclear Fuels (BNF) from 1999 to 2006, where he worked on a portfolio of construction, insurance, regulatory and contentious issues that provided the foundation for his education in nuclear law. A rebrand of BNF in 2008 gave Carr the opportunity to form Sellafield’s first stand-alone legal division with specialist lawyers. As well as providing specialist legal advice and insurance support to the business, Carr works with the board on governance and compliance issues. He has handled high-profile legal challenges against Sellafield, including a landmark dispute in 2014 heard at the Court of Appeal that ruled on the level of monetary sanctions appropriate for corporates with significant turnover when found to breach safety and environmental protection legislation. This year Carr faces a hefty political hurdle. Following plans drafted by the government to decommission Sellafield, it now faces regular reviews as new information is discovered. As the Nuclear Decommissioning Authority’s largest site, Sellafield ‘poses levels of complexity and uncertainty that are unique in the global nuclear sector’. Last year, the National Audit Office revealed the cost of decommissioning and cleaning up the Sellafield nuclear site in Cumbria increased by £5bn to £53bn in 2015, a sum condemned by MPs and which controversially led to the Nuclear Decommissioning Authority cancelling a £9bn clean-up contract awarded to Nuclear Management Partners. Sellafield’s UK arm said it aims to make greater efficiencies within its £2bn budget for the next financial year as it ‘enters its most crucial period in its history’. With a career spanning 20 years, Alison Kay is widely regarded as a respected veteran of the industry. She has served in various roles since joining the FTSE 100 company in 1996, including as UK general counsel from 2000-08 and as commercial director for the UK transmission division from 2008-12. Alongside UK legal chief Rachael Davidson, Kay undertook an extensive review of National Grid’s external legal advisers in 2015, seeking to deliver an agile and smarter service delivery model with firms more aligned to its business needs. The review led to a slimming down of the roster to 12 firms, marking a near 50% reduction since its previous assessment in 2011, while all contracts were shortened to two years from three to keep pace with the changing legal market. Diversity is also high on Kay’s list of priorities and she regards firms demonstrating commitment to increasing levels of female representation as a key benchmark. In recent years, Kay has spent considerable time helping the company negotiate regulatory hurdles, including the Competition and Markets Authority’s investigation into the domestic metering market and the London power cuts in 2005, and the settlement of a five-year litigation against four European power companies in one of the largest cartel damages cases ever to appear before the English courts. Ince & Co’s departures continue in Singapore with energy head Martin David being the latest to leave the firm, joining Baker & McKenzie as a partner in its Singapore energy practice.